Cellectar Biosciences is trying to move from an over-the-counter (OTC) stock to trading on the Nasdaq stock exchange—and the stakes are high for the small Madison, WI-based biotech. 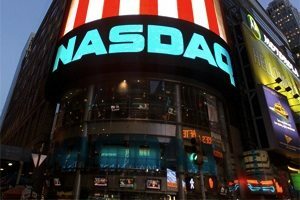 Winning approval to join the Nasdaq stock exchange could give Cellectar a boost in bringing its cancer drugs and imaging products to market—assuming the company can capitalize on the opportunity. And at the very least, Cellectar would raise its profile in both the investment and research communities by moving into the big leagues of a major exchange. Whether it’s fair or not, small companies whose stock trades OTC often are associated with penny stocks—a “pejorative term,” says Eric Blanchard, a partner with law firm Covington & Burling in New York. As “The Wolf of Wall Street,” last year’s raucous Martin Scorsese flick, vividly describes, penny stocks can be manipulated in fraudulent “pump-and-dump” schemes. But many OTC stocks can’t be tarred with the same brush as dubious penny stocks, adds Blanchard. (The SEC defines penny stock as securities issued by small firms that trade at less than $5 per share, generally OTC. Others set the threshold at $3 or $1 per share.) Indeed, for many small private companies, which don’t have enough visibility for a splashy IPO on a major exchange, trading their stock OTC is a logical next step for raising capital after the family and friends stage, despite the negative perception, says David Krause, a Marquette University finance professor and director of the Milwaukee school’s Applied Investment Management program. “Not every stock is Google or Apple; they have to start out oftentimes raising money where they can, and it may be in the penny market,” he explains. Biotech and software startups sometimes go the OTC route because they lack the tangible assets, like industrial manufacturing equipment, that can be used as collateral to more easily obtain financing, he says. Or they can end up as an OTC stock as the result of a merger, as in the case of Cellectar. The once privately-held company was acquired in 2011 by Newton, MA-based Novelos Therapeutics, which was already an OTC stock, and which moved the headquarters of the combined company to Madison, where Cellectar was based. That’s why some ambitious executives view trading OTC as a way station on the path to better things. Making the jump to a major stock exchange opens the business up to more liquidity and a bigger pool of investors, says Matt Rossiter, a corporate partner with Fenwick & West in San Francisco. 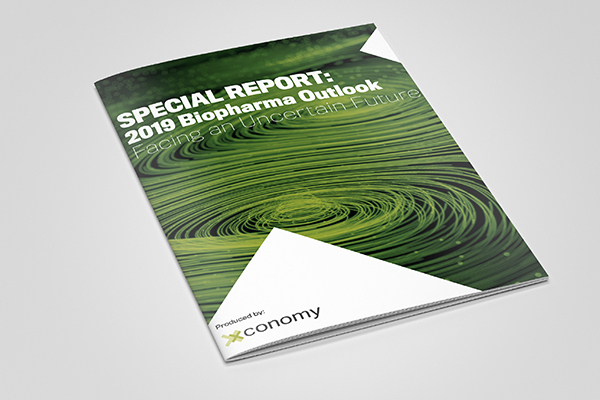 And given investors’ recently revived interest in biotech companies (although the biotech IPO market might be cooling), now might be a good time for the sector’s startups to try to “up-list” from trading OTC to the Nasdaq—the home of most small, publicly traded biotechs. “It helps because investors are more aware of the sector and more optimistic about its prospects,” Rossiter says. Cellectar’s executives and investors hope he’s right. The company recently enacted a 1-for-20 reverse stock split and announced it had applied to trade on the Nasdaq Capital Market, while also planning a public offering of additional shares. The firm awaits approval by the Nasdaq, which depends on a set of criteria that include having a bid price of at least $4 per share, at least 300 shareholders, and at least 1 million publicly held shares, among other requirements. A Cellectar spokeswoman declined to comment, citing a company quiet period while the Nasdaq considers its application. But in mid-July, the company’s stock was trading above $6 per share, and its investors held 2.87 million shares. More recently, New York-based Retrophin did a reverse merger in 2012 with shell corporation Desert Gateway, which was traded OTC. Retrophin started trading on the Nasdaq in January. Small OTC biotechs considering a move to a bigger exchange can draw a couple lessons from Retrophin’s strategy, says Blanchard of Covington & Burling. His law firm represented the underwriters in Retrophin’s $40 million public offering, which occurred simultaneously with its application to trade on the Nasdaq Global Market. Conducting a public offering of at least $40 million in tandem with the application provides a fast track to the Nasdaq, Blanchard says. Retrophin (NASDAQ: RTRX) priced the $40 million offering at $8.50 per share. It went on to trade as high as $25 per share, Blanchard says. It closed at $10.23 per share on Monday. So will Cellectar make it to Nasdaq? Although Blanchard didn’t want to comment directly on Cellectar’s prospects, he did say that it appears the company is taking the appropriate steps to win Nasdaq approval. It’s conducting a public offering alongside the Nasdaq application, for instance, and it has already boosted its share price with the 1-for-20 reverse stock split. The latter is especially important because the biggest hurdle to listing on the exchange is typically a company’s stock price, Blanchard says. The higher the better. Cellectar closed at $6.50 per share on Monday. Besides gaining access to a larger pool of investors, the rewards for making it onto a bigger exchange include increased buzz around the company and a big boost in its credibility, industry observers say. But it’s not all positive. The flipside is more scrutiny. Rossiter agreed that moving to the Nasdaq only opens the door to more financing and visibility. Then it’s time to execute.